Properties in Reotahi Bay average 4.6 out of 5 stars. Property 7: Personalised, boutique, beachfront accommodation. 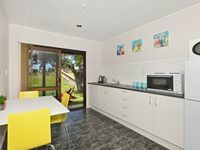 Property 11: Only 40 metres to the beach! 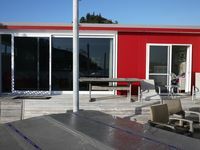 Property 12: Beside The Sea Exclusive waterfront apartment. Property 26: Beachfront in quiet idyllic bay. Property 31: Personalised boutique beachfront accommodation. Property 32: Paradise in Pataua, beach front bach with it all ! Property 36: Boutique cabins on a private equestrian property. Property 46: Boutique cabins on a private equestrian property. Property 49: Boutique cabins on a private equestrian property.